In the news of social media! ~ Learn more about our story and the bright future together with CETA at our seminar & farewell reception for EU Ambassador H.E. Marie-Anne Coninsx on May 29th in Toronto, click here for details. 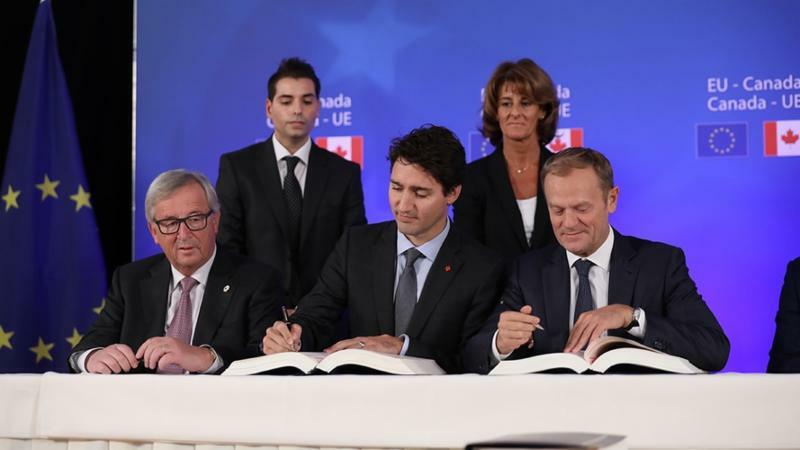 Prime Minister Trudeau inked Canada’s Free Trade Agreement (FTA) with the European Union in Brussels on October 30, 2016. It is often referred to as CETA (Comprehensive Economic and Trade Agreement). CETA was several years in the making, as negotiations were launched in May 2009. The next steps now are approval by the European Parliament in Strasbourg, followed by ratification by the 28 national parliaments of EU member countries and some regional parliaments as well. 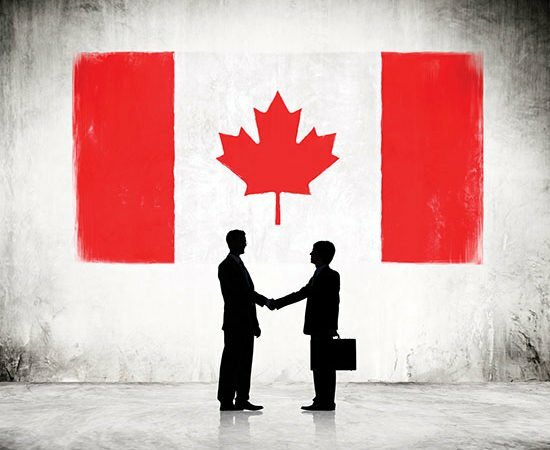 CETA – A Chance for SMEs? 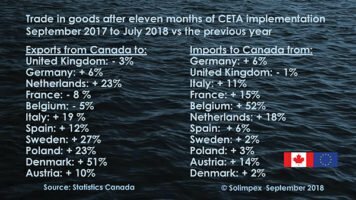 After the Belgian government managed successfully to get Wallonia on board, the Comprehensive Economic and Trade Agreement (CETA) sets high standards for global trade. Prime Minister Justin Trudeau, European Commission President Jean-Claude Juncker, and European Council President Donald Tusk signed two landmark agreements: the Comprehensive Economic and Trade Agreement (CETA) and the Strategic Partnership Agreement (SPA) during the European Union-Canada Leaders’ Summit in Brussels, Belgium. The Comprehensive Economic and Trade Agreement will generate economic growth and jobs on both sides of the Atlantic and reflects both sides’ commitment to free, fair and progressive trade, for the benefit of nearly 550 million EU and Canadian citizens. A Joint interpretative instrument, which further explains and clarifies the provisions of CETA was also adopted by the leaders, and an agreement was reached to work jointly towards the establishment of an independent and impartial multilateral investment court. The signature of the Strategic Partnership Agreement (SPA) lays the foundations for the further strengthening of political dialogue and cooperation between the European Union and Canada. The Agreement will institutionalise and enrich the partnership across a wide range of areas, from foreign and security policy to research and innovation; and from tackling climate change and terrorism to working together in the fields of development cooperation and consular protection. Getting ready to be in the top 10! In 2015 Canada was the 11th largest foreign direct investor in Flanders (#12 in 2014).